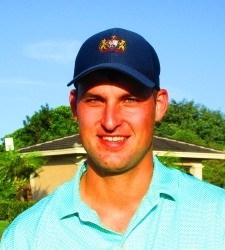 MIAMI, Fla. – Charles Castellano, an amateur from Colorado now living in Miami, was the winner Tuesday in a Minor League Golf Tour event at Melreese Country Club. Castellano, 27, matched four birdies with as many bogeys to match par 71, his lowest score in six MLGT starts in South Florida since Oct. 22. He received a gift certificate worth $651.45, which included $51.45 from the skins game. Playing three groups ahead of Castellano was Evan Thornton from Wyomissing, PA. He bogied the final hole to post 72 and had to wait to see if it would hold up. Castellano birdied 16 and 17 to edge Thornton by one shot. Thornton has had a few close calls and is looking for his first win on the MLGT. 50% of the field earns a check. 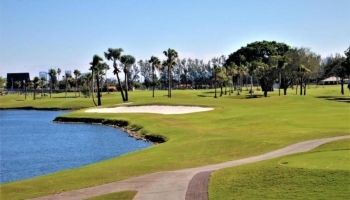 Come play a tournament on the former host venue of the PGA Tour Latinoamerica's Tour Championship.